Welcome to Burlington School District’s online registration! BSD is a pre-k-12 public school system serving around 4,000 students in Burlington, VT. Our mission is to graduate students who: value different cultures, engage with the community, communicate effectively, think creatively, skillfully solve problems, and achieve at their highest academic, intellectual, and personal potential. Determine what grade your student is entering by using the expandable menu below. Choose the correct school year you are registering. For example, if you are new to BSD and your student needs to begin attending school as possible, you should register using the “Current Year 2018/2019” section. If you are moving to BSD over the summer of 2019 or your children are becoming eligible to attend Pre-K or Kindergarten in the Fall of 2019, please register using the “Next School Year 2019/2020” link. WHAT GRADE LEVEL ARE YOU REGISTERING FOR? 2019/2020 Registration is for students who will be three years of age, or older, by September 1, 2019. Please do not register a child who is younger than that until the next years’ (2020/2021) registration opens in January 2020. 2018/2019 Registration is for students who are already three years of age, or older. Please do not register a child who is younger than three until next years’ (2019/2020) registration opens in January 2019. If you are already enrolled at a BSD school, you do not need to register. Thank you for your time. All students coming from other districts, please register below under 2019/2020 New Student School Registration. Vermont school districts are not obligated by law to allow student early entrance before age 5. 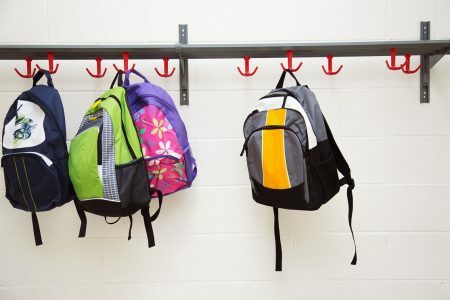 However, in an attempt to meet the needs of individual children, as a service, Burlington School District will consider early entrance requests for students whose birth date falls between September 2nd and September 30th of the year the child turns 5, if requested. Such evaluation is consistent with Policy F 14: Request for K Early Entrance.